On March 15, 1493, Christopher Columbus made his triumphant return from his first voyage to the New World, a momentous occasion in human history and especially noteworthy for the Spanish Crown that he sailed for. Today we look at 10 such Triumphant Returns, times when a person or a group of people made it back with an air of accomplishment, vindication, or victory, often with a page written in history about that very return. No significance to the order listed, but feel free to add your own nominations to the list. Questions for Students (and others): What do you believe is the most triumphant return in history? What “returns” would you add to the list? Please let us know in the comments section below this article. Columbus returned to Spain after his harrowing voyage to and back from the New World, failing to have reached China as he intended, but still having made a tremendous discovery of new lands for potential exploitation by Spain. (And exploit they did!) Columbus became a celebrated hero, and was financed and sanctioned for further voyages, but his fame and favor wore off and he did not enjoy continuing acclaim like he did when he made that first triumphant return. Napoleon I, Emperor of the French, had achieved great things for himself and France during his reign, and is in fact the most written about human being in history (except Jesus Christ, if He is considered human instead of Divine). Banished to the island of Elba to serve the rest of his life in exile after disastrous defeats stemming from his ill-considered invasion of Russia in 1812, those nations allied against him sent him to Elba, a big mistake since Elba is not far from France and the island of Corsica, the land of Napoleon’s birth. In 1815, Napoleon escaped from Elba and returned to France, making the long march back to Paris, while picking up supporters along the way. Soldiers sent to arrest him instead greeted him with welcome and pledged continued loyalty. When he got to Paris, he triumphantly reasserted himself as Emperor of the French and tried to reign in peace with other nations, but those enemy nations allied against him would have none of that. After only 100 days and the epic Battle of Waterloo, Napoleon was again deposed and this time sent to far away St. Helena, never to escape that miserable island. 3. 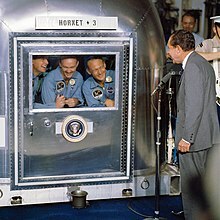 Apollo 11 Astronauts, 1969. 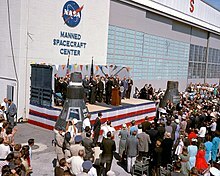 After boldly going where no man had gone before, the first 2 astronauts to walk on the Moon, Neil Armstrong and Buzz Aldrin, along with pilot Michael Collins that orbited the Moon while the other 2 men made history taking giant leaps for mankind, the Apollo 11 astronauts were treated as conquering heroes by a grateful United States. Ah, but only by being placed in bio-containment suits and then in 3 weeks of quarantine! All the accolades and hoopla conducted for them had to be limited by not allowing their face to face exposure to all of us Earthbound people. To make matters worse, they actually had to go through US Customs! Yes, just like you if you are returning from the Bahamas. Later they got their ticker tape parades and cross-country tours, as well as everlasting fame. This case proves that although the British, the Civil War, the Third Reich, the Empire of Japan, and the Soviet Union with their Communist Bloc could not defeat the United States, stupid bureaucracy almost certainly will! 4. John Glenn, 1962/Yuri Gagarin, 1961. The Soviets and their first cosmonaut, Yuri Gagarin stunned the world in 1961 when Gagarin became the first human to be rocketed into outer space and orbit the Earth, and of course to also be returned safely. He instantly became one of the greatest celebrities on the planet (now that he was back) and certainly in the Soviet Union. Although John Glenn was not the first US astronaut to be shot into space, he was the first US astronaut to orbit the Earth, and when he got back he was treated like the savior of our nation. Although just a lad at the time, when television showed Glenn being picked up from the ocean by the destroyer USS Noa and brought to the deck of an aircraft carrier, this little boy stood at attention and sang the Marines Hymn along with the band on the ship! Glenn got his ticker tape parade without having to go through Customs or a quarantine. 5. General Douglas MacArthur, 1944. 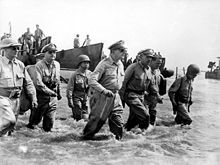 When General MacArthur was defeated by the Japanese in the Philippines in 1942, he was ordered by President Franklin Roosevelt to evacuate himself from the last American stronghold on Corregidor Island off the Bataan Peninsula. He made a radio broadcast to the people of the Philippines, boldly promising, “I shall return!” One of the most famous promises in history, MacArthur made good on that promise in 1944 when US forces landed in the Philippine Islands to reconquer the land from the Japanese, allowing MacArthur to say, “I have returned!” MacArthur made sure his arrival was treated with all due respect and awe commensurate with his high opinion of himself, and in fairness to him, his triumph was enthusiastically shared by a grateful Filipino people that was deliriously happy that the great General had indeed returned for them. 6. Lewis and Clark, 1806. Route of the expedition. Map by Victor van Werkhooven. Sent West by President Thomas Jefferson with an expedition to explore the newly acquired lands of the Louisiana Purchase, Lewis and Clark did that and more, exploring what is now the continental United States all the way to the Pacific Ocean. Despite incredible hardships (Lewis was shot in the thigh when he was mistaken for an Elk) and obstacles, the weary explorers returned after over 2 years trekking across the continent. No big welcome awaited the worn out explorers in St. Louis when they returned, and it took President Jefferson 2 months before he addressed congress (and the public) with news of the successful expedition by the Corps of Discovery led by Lewis and Clark. Although there was no parade or ceremony awaiting them, we include Lewis and Clark because they themselves had to feel a tremendous sense of accomplishment and relief at having finally returned after such a harrowing adventure. This tremendous triumph was only appreciated years later, after about a century had passed! 7. Charles de Gaulle, 1944. In 1940, the German military forcibly ejected the British Expeditionary Force from France, leaving the French to face the buzz-saw of German fire alone. France quickly was forced to surrender, a bitter pill for patriots such as Charles de Gaulle, a veteran of World War I. De Gaulle fled to Britain to claim to represent the “Free French” people that had not surrendered to Germany and would continue the fight until France was freed of the hated invaders. When the Allies (the United States and United Kingdom) invaded Europe via Normandy in France in June of 1944, the writing was on the wall for the German occupation of France. Allied advances approached Paris, and De Gaulle was permitted by the Americans to personally lead French soldiers into their capital to liberate the City of Light. De Gaulle was treated by a delirious public as a great hero and seized on that fame and acclaim to end up being the ruler of France after the War. 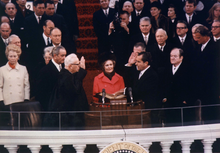 Nixon is sworn in as the 37th President by Chief Justice Earl Warren on January 20, 1969, with the new First Lady, Pat, holding the family Bibles. Photograph by Oliver F. Atkins (1917–1977). 9. Julius Caesar, 49 BC. Julius Caesar pausing on the banks of the Rubicon. Illustrated by E. M. Synge. Gaius Julius Caesar returned to Italy from his duty as Governor of Gaul, a term filled with triumphs for Caesar and his Roman legions. Julius not only amassed wealth during his time in Gaul, his victories and triumphs gained him great fame and acclaim, and when he was ordered by Rome to disband his armies and return, he instead marched back to Italy with his army intact, famously crossing the small river, the Rubicon, in 49 BC, against tradition and the orders of the Roman politicians as no army commander had ever been allowed to enter Rome with his army, as this action was seen as threatening to the Republic and its democracy. Caesar and his army marched into Rome to the thunderous welcome of the people, while the Senate fled the city! Caesar installed himself as dictator of Rome, with the full support of the adoring masses and the bitter disappointment of his detractors. Armed resistance to Caesar was futile, and it would take a cowardly assassination in 44 BC to remove him. 10. Ulysses (Odysseus), unknown date. Okay, so you say this guy is “mythical?” Well, hate to break the news, but so is much of “History!” What we know of many historical characters (think Alexander the Great and Caligula) was written many years after their deaths and often by people opposed to that particular historical person, leading to who knows what kind of mythological record of historical figures. Even in “modern” times, we have people given mythological acts and statements attributed to them, such as “I cannot tell a lie” (George Washington) and “I invented the Internet” (Al Gore). Sometimes history is really just misinformation meant to purposely slander enemies or glorify friends. Even the Gospels were written many years after the death of Christ (35 to 65 years later), and by people that were not eyewitnesses to the events described (except possibly Matthew). Anyway, Odysseus, or Ulysses if you prefer, was off fighting the Trojan War for 10 years, and it was his idea for the Trojan Horse that eventually won the war. He should have gone home to great fame and acclaim for masterminding the victory, but his return trip took 10 convoluted years of struggle and adventure. Finally getting home after 20 years away, he found his home filled with suitors of his wife, thinking she was a widow. Odysseus slew the interlopers and triumphantly announced he had returned to his grateful wife and subjects, and finally got the recognition he deserved. Or not, maybe it is just made up or at least exaggerated, like other “historical” accounts. Buchanan, Patrick. The Greatest Comeback: How Richard Nixon Rose from Defeat to Create the New Majority. Crown Forum, 2014. Foster, John. The Hundred Days: Napoleon returns from Elba to meet defeat at Waterloo. F. Watts, 1972. Markham, David and Matthew Zarzeczny. Simply Napoleon. Simply Charly, 2017. Shiono, Nanami. Julius Caesar: The Rubicon Crossed. SHINCHOSHA Publishing Co, 2014. Smith, Jean. The Liberation of Paris: How Eisenhower, de Gaulle, and von Choltitz Saved the City of Light. Simon & Schuster, 2019. Steinberg, Rafael. Time Life World War II: Return to the Philippines. Time Life, 1979. The featured image in this article, Eugene Delacroix’s painting The Return of Christopher Columbus (1839), is a faithful photographic reproduction of a two-dimensional, public domain work of art. The work of art itself is in the public domain for the following reason: This work is in the public domain in its country of origin and other countries and areas where the copyright term is the author’s life plus 70 years or less. Next Article March 15, 2019: Mass Shootings at Mosques in New Zealand Broadcast by Bodycam!